You'll fall in love with this Garden Park Plan 3, located just steps away from Westgrove Park. 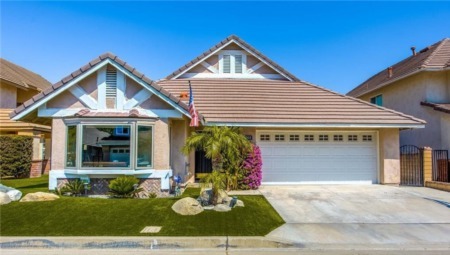 The front and back yards have been thoughtfully landscaped with drought tolerant and always green artificial turf, and the driveway is accented in brick, with pavers leading to the side gate. As you enter into the open living room, you will notice the interior is light and bright, with fresh and beachy jewel tones throughout. Additional features include gleaming wood-look laminate floors, smooth ceilings, recessed lights, crown molding, dual pane windows and a gorgeous custom fireplace in the living room. The kitchen has been remodeled with quartz counters, newer cabinets, fixtures and a garden window. Both bathrooms have been freshly updated with newer vanities, fixtures, wainscoting and tile. The master suite features a bay window and ensuite bathroom with corian counters. This home has central air conditioning for those warm summer days, as well as ceiling fans in the bedrooms. The double French doors lead you to the covered brick patio and into the spacious backyard with turf and brick lined planters. 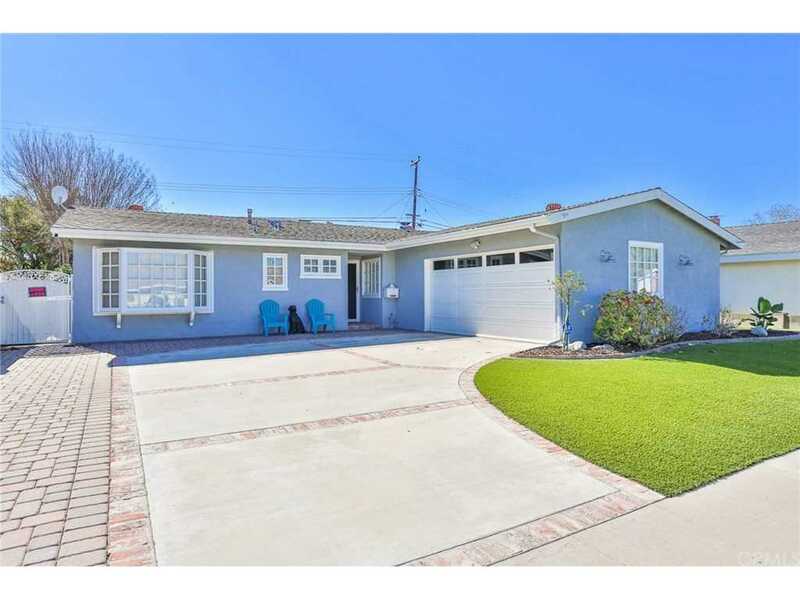 This home is located in the amazing community of West Garden Grove, with a small town community feel, top rated schools, easy freeway access and tons of neighborhood events. Lot Size: 0.14 Acres / 6045 Sq. Ft.
SchoolsClick map icons below to view information for schools near 5542 Stanford Avenue Garden Grove, CA 92845. Listing provided courtesy of Jennifer Tackney, Gmt Real Estate.